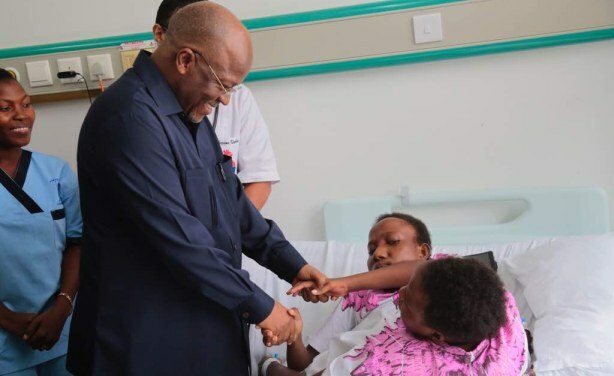 President John Magufuli has joined the nation by sending his condolences to the family of conjoined twins Maria and Consolata who died on May 30. The president visited them at the Muhimbili National Hospital in Dar es Salaam in January 2018, where they were receiving treatment. President John Magufuli has sent his condolences to family, Sisters of conjoined twins, Maria and Consolata Mwakikuti.